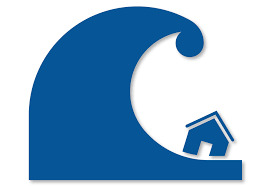 A tsunami is a natural phenomenon consisting of a series of waves generated when a large volume of water in the sea, or in a lake, is rapidly displaced. A tsunami can be caused by large submarine or coastal earthquakes; underwater landslides which may be triggered by an earthquake or volcanic activity; large coastal cliff or lakeside landslides; or volcanic eruptions beneath or near the sea. 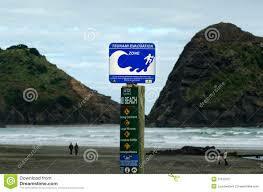 New Zealand is at risk from tsunami due to its long coastline and its position on the Pacific Rim of Fire. Steep undersea canyons such as the Kaikoura Canyon and the Cook Strait Canyon are also areas of potential submarine landslides which can cause dramatic local tsunami. 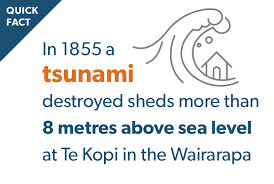 New Zealand has experienced about 10 tsunamis higher than 5m since 1840. Some were caused by distant earthquakes, but most by seafloor quakes not far off the coast. The only tsunami recorded to have killed anyone in New Zealand holds valuable lessons 150 years on, scientists say. What's known as the Arica earthquake, measuring somewhere between 8.5 and 9.0 in magnitude, ruptured across some 600km of seafloor off the coast of Peru on August 14, 1868. Killing an estimated 25,000 people in Chile and Peru, the quake also triggered a tsunami that hit the Chatham Islands after a 15-hour roll across the Pacific. At 1am on August 15, people in the village of Tupuangi on the northwest coast of Chatham Island awoke to a loud roar as a massive wave surged inland. Three destructive waves hit within an hour, the largest standing 6m high. Three families were washed away and survivors scrambled to higher ground and were left with nothing. Another man was killed as he tried to secure a boat. 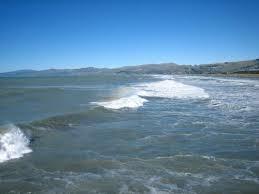 The tsunami stripped the land of vegetation including large trees, leaving only sand and boulders, and unusual waves and strong currents continued for another 24 hours. Later, the tsunami travelled another 800km to New Zealand's mainland, where Banks Peninsula, Oamaru, Timaru, and Port Chalmers in Dunedin took the brunt of the impact. At the Port of Lyttelton, waves reaching over 7m high ripped boats from their moorings and caused widespread damage. 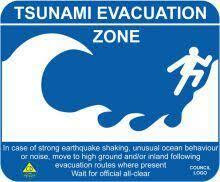 * If you live in a coastal area, ask your council about your tsunami risk and local warning arrangements. 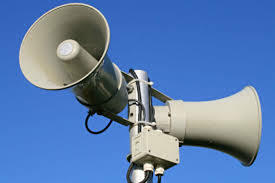 * If you have a disability or special requirements, arrange with your support network to alert you of any warnings and emergency broadcasts. * Develop a Household Emergency Plan and have a Getaway Kit ready. * Know where the nearest high ground is and how you will reach it. Plan to get as high up or as far inland as you can. * Plan your escape route for when you are at home, as well as for when you may be working or holidaying near the coast. * Take your getaway kit with you if possible. Do not travel into the areas at risk to get your kit or belongings. * Take your pets with you if you can do so safely. * Move immediately to the nearest higher ground, or as far inland as you can. If evacuation maps are present, follow the routes shown. * Walk or bike if possible and drive only if essential. If driving, keep going once you are well outside the evacuation zone to allow room for others behind you. * Boats are usually safer in water deeper than 20 metres than if they are on the shore. Move boats out to sea only if there is time and it is safe to do so. * Never go to the shore to watch for a tsunami. 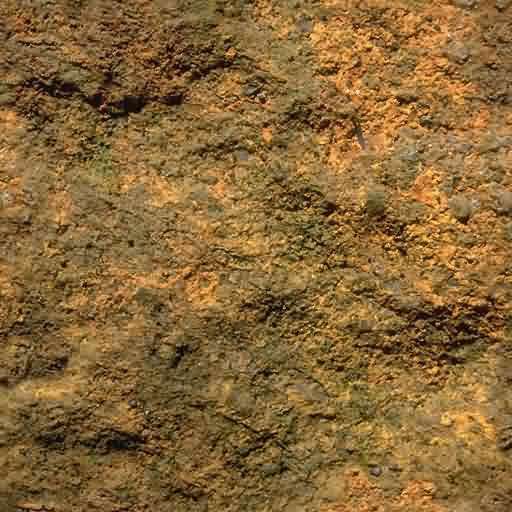 Stay away from at-risk areas until the official all-clear is given. * Continue to listen to the radio for civil defence advice and do not return to the evacuation zones until authorities have given the all-clear. * Be aware that there may be more than one wave and it may not be safe for up to 24 hours, or longer. The waves that follow the first one may also be bigger. * Check yourself for injuries and get first aid if needed. Help others if you can. * Do not go sightseeing. * When re-entering homes or buildings, use extreme caution as floodwaters may have damaged buildings. Look for, and report, broken utility lines to appropriate authorities.